Dave liked nothing more than to sit and waste his life away. Until one night his world was turned upside down and his life ripped apart, throwing him into a must win battle with an unknown enemy. With time running out and the odds against him. Can he stop this "thing" or is it too late? 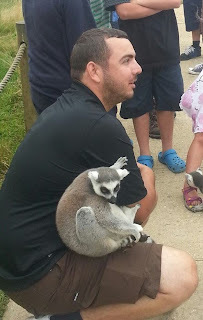 This story is novella length and not written in the traditional sense of a book. It’s more of a fable type story and must be taken into account when reading it. I enjoyed this story very much. It read and felt almost like a fable, set up to tell a very intense lesson on life. Though it is a bit rough in transitions and is very much narrated instead of told through actions, it’s an engrossing story of how life can go very, very wrong. The first half of it concentrates on Dave’s story and history. It goes through his memories systematically showing what a loser he’s become, who he used to be and why he is the way he is. He’s now a lazy drunk who doesn’t work and mooches off his mother, expecting her to clean and provide food for him even though he treats her like utter garbage. I disliked him immediately. That is, until I read the parts in the past where he behaved quite differently − a child with big dreams, a firm dedication to sports and running, and hopes of joining the Olympics as a star athlete. But all that is ruined on a fateful day and his love of life disappears. Back to the present, the story takes a swift turn and follows Dave as he stumbles upon a mystery killer who has kidnapped not only his slutty neighbor Lisa, but also now his mother. Can he catch the culprit in time or will it be the end of Dave’s useless life? The horrors that come up and the test of is real character come into play and provide a swift, but satisfying conclusion. A fast read with gritty details that will keep you flipping the pages to see what’s going to happen next. If you love short horror fiction tales with unpredictable plots, you’d love this. I received a free copy of this book from the author for an honest review. Andrew Lennon was born in Maghull, Merseyside in 1984. Having being lucky to survive a nearly fatal jet ski crash at the age of 11. Followed by a spinal fracture at 15 incurred playing Rugby. Andrew went on to finish school and work in finance. He has since been working for his fathers company based in Warrington. 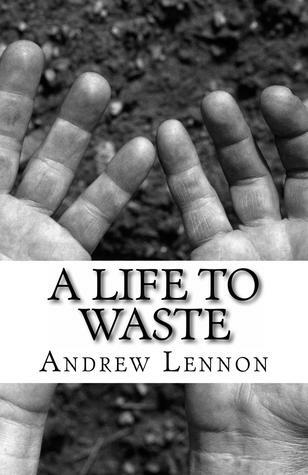 "A Life To Waste" is Andrew's first Novella and is now available in E-Book format and paperback. Andrew enjoys reading, camping, watching tv and spending time with his wife Hazel and their children.